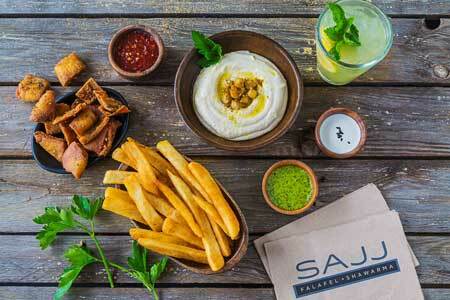 The Bay Area-based Mediterranean food truck-turned-brick and mortar eatery Sajj has opened its first Orange County outpost. Located in Rancho Santa Margarita, the fast-casual restaurant offers a range of wraps, bowls and pita sandwiches that are fully customizable via a “build-your-own” concept. The restaurant also serves up a host of vegetarian-friendly accompaniments as well as all-ages beverages featuring ingredients like mint and tamarind. Lunch & Dinner daily. Sajj, 22245 El Paseo, Ste. A, Rancho Santa Margarita, CA 92688, 949-709-7779. Joel Harrington has parted ways with Lido Bottle Works. Taking the reins of the popular Newport Beach restaurant and public house is Amy Lebrun, who had been the venue’s sous chef since it opened its doors in the Spring of 2017. Prior to joining the Lido team, Lebrun made her Orange County bones at resorts like The Ritz-Carlton, Laguna Niguel and The Resort at Pelican Hill in Newport Beach. Lido Bottle Works, 3408 Via Oporto, Ste. 103, Newport Beach, CA 92663, 949-529-2784. Mick’s Karma Bar has closed its doors. The Irvine quick-service venue specialized in creating artisanal burgers and craft brews. No replacement occupant for the space has been announced. Mick's Karma Bar, 2010 Main St., Irvine, CA 92614, no phone.